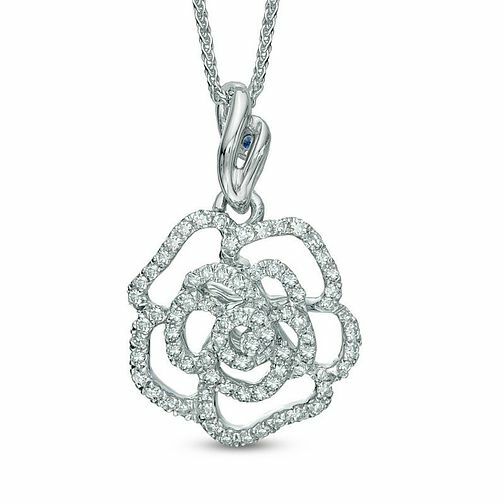 This beautiful 14ct white gold pendant from the Vera Wang LOVE Collection feature 0.23ct of diamonds in a rose setting. Vera Wang's signature sapphire is set in the knot of the pendant, symbolising faithfulness and love. Unique, yet classic, the Vera Wang Love Collection offers timeless designs as an eternal symbol of your love and commitment.